There are plenty of adults around who would like to do something positive with their teeth and fix their smile so that it looks healthy and improves their appearance, but the cost is holding them back. One of the fears that is keeping away from their dentist and the orthodontic care they need is the fact that insurance cover can be tricky and problematic. The top 1% Invisalign provider is just one practice used to encountering this issue when they meet a patient for the first time, but there are some things to know about insurance cover that could help you get the treatment you want. 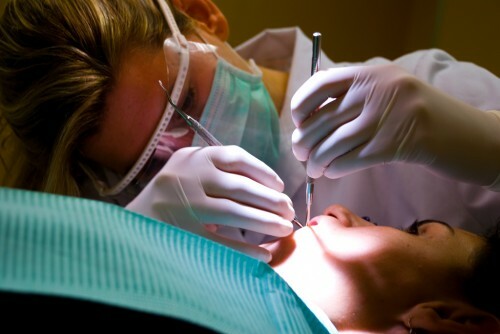 As a general rule, major medical plans are unlikely to include dental coverage in the benefits you are paying for each month. More often than not if you want dental treatments covered within your standard medical plan you will have to purchase this as a separate option, which has to be offered to anyone under eighteen under the Affordable Care Act (ACA). When you are an adult and responsible for your own arrangements, it is down to you to enquire about and arrange the level of cover you think you need, including whether you want to add an option relating to dental cover. There are a growing number of adults who now appreciate that braces and the straight teeth and beautiful smiles they can bring, are not just for kids anymore. Thanks to the development of new technologies such as Invisalign, braces are no longer the cumbersome and obtrusive metal tracks that they were in the past, which means that an increasing amount of adults are now looking to have their smile fixed using these braces. In recognition of this trend, there are more insurance companies that are now offering orthodontic benefits than ever before so check around to see if you can a suitable plan this way or ask your existing provider whether it is an option that you can pay extra for. If you have employer-sponsored dental insurance as part of your health care package it is definitely worth checking with your HR department to see if orthodontic treatment is covered under the scheme. There may be some qualifying periods or restrictions in place before you can schedule in any treatment and you will need to check whether your cover allows you to see an orthodontist who specializes in braces or an appointed dentist. An acceptable compromise if you don’t have full cover in place is to consider a discount plan, which is also referred to as a dental savings plan. These plans are not classified as full dental insurance but they do open up the opportunity to purchase dental services at lower prices when you are a subscriber. A discount plan could work out to be a cost-effective solution, especially if you already have dental insurance but no existing coverage for orthodontic treatment. Adult braces are becoming commonplace and if you search around, you should be able to find a way to afford the work that you want to have done. Louie Sanders knew he wanted to work in orthodontics when he was 11. Now a dental assistant he combines his love of writing with knowledge from the day job. His articles appear on a range of blogs featuring health topics.